Is there a more underappreciated player at Arsenal than Olivier Giroud? The 30-year-old has scored 70 league goals in 166 appearances for the Gunners, yet he never seems to have fully convinced Arsene Wenger. Perhaps his compatriot does genuinely value him as an impact substitute, but it must have been an incredibly frustrating five years in north London for the striker. This season, he is now behind Alexandre Lacazette and Danny Welbeck in the pecking order, with Alexis Sanchez and Theo Walcott also able to operate as forwards. It looked as if he was ready to move on in the summer, with Everton viewing him as a potential replacement for Romelu Lukaku. In fact, Ronald Koeman never managed to properly address the Belgian’s departure for Manchester United. The Mirror have suggested, therefore, that the Toffees boss will go back in for Giroud in January and have much more chance of being successful this time around. Wenger was only reluctant to let Giroud go because he was concerned that he could be left short if Sanchez had left as well. Surprisingly, the Chilean stayed put in spite of a Deadline Day bid from Manchester City. 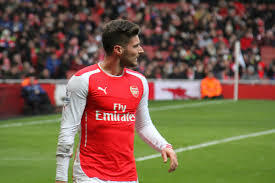 With the World Cup in Russia less than a year away, Giroud needs to be playing regularly and for that to happen, he’s realistically going to have to quit the Emirates.